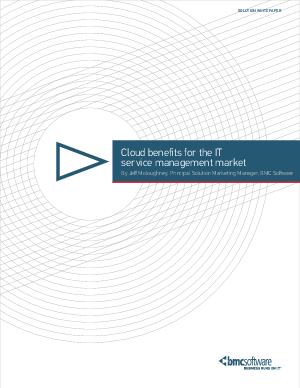 Analysts predict that soon, half of all new IT service desk tools will be adopted as cloud-based services. While shifting to an on-demand model can be a complex decision, requiring organizations to assess carefully the potential impact on their business operations, a growing number of companies are clearly finding the move worthwhile. • Improved alignment between IT to and business, as self-service, a service catalog, collaboration, and mobility help IT expose and provide its services more effectively.